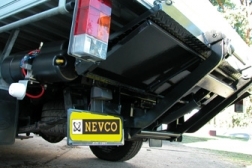 Nevco offers 35 years experience in the concept development, design, manufacture and installation of all sizes of tailgate loaders. 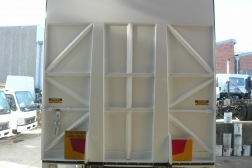 We specialise in solutions that are not available “off the shelf”. 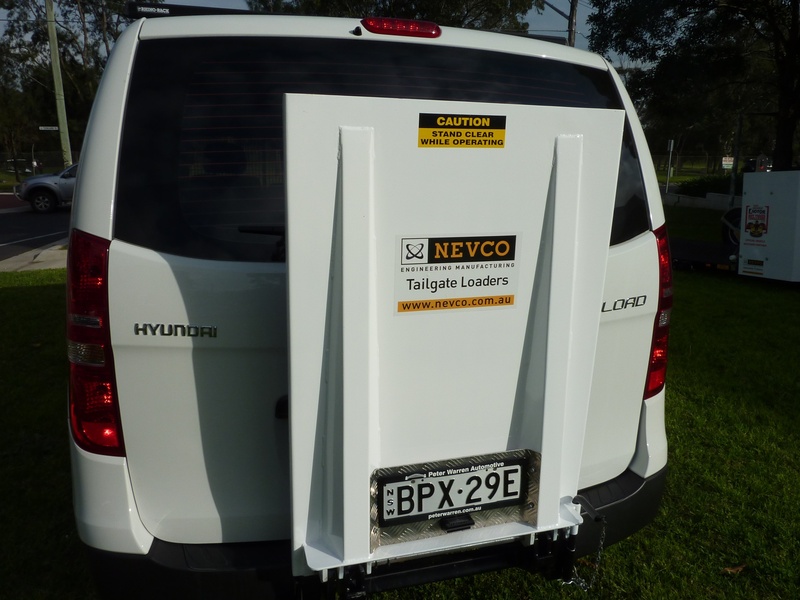 We are a 100% Australian owned and operated business and believe we are the only tailgate solutions provider offering products 100% designed and manufactured in Australia. 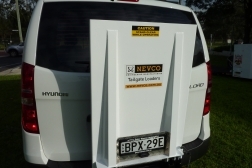 We regularly design, manufacture and fit tailgate loaders to vehicles ranging in size from light commercials (one tonners or “Hiace” type vans) to full size trucks and trailers. 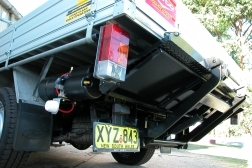 We offer a high quality range of hydraulic fittings for reliable and repeatable performance. 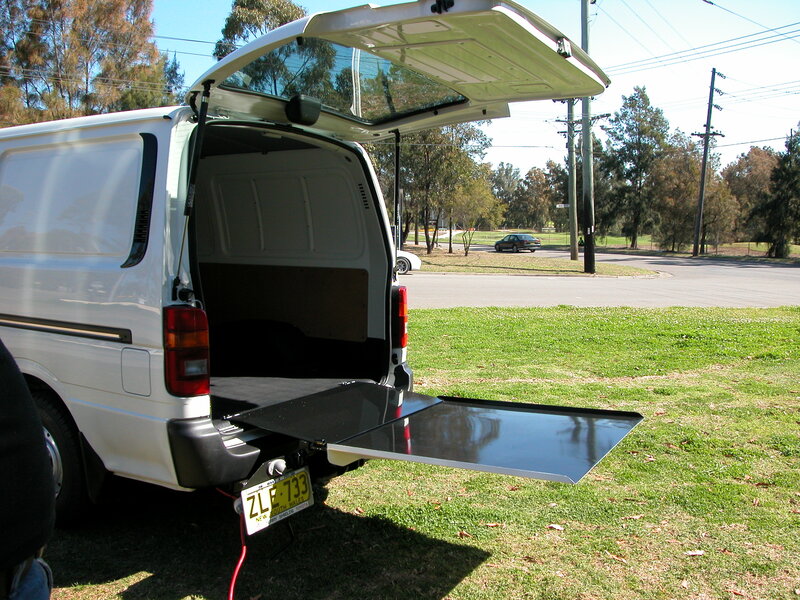 We only use high quality steel. We source our steel from large merchants who can verify their steel supplies. 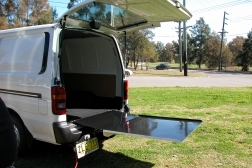 We DO NOT use cheap imported steel. 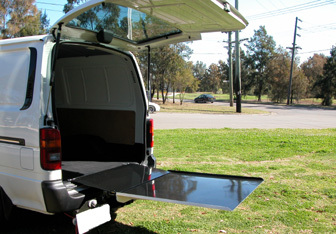 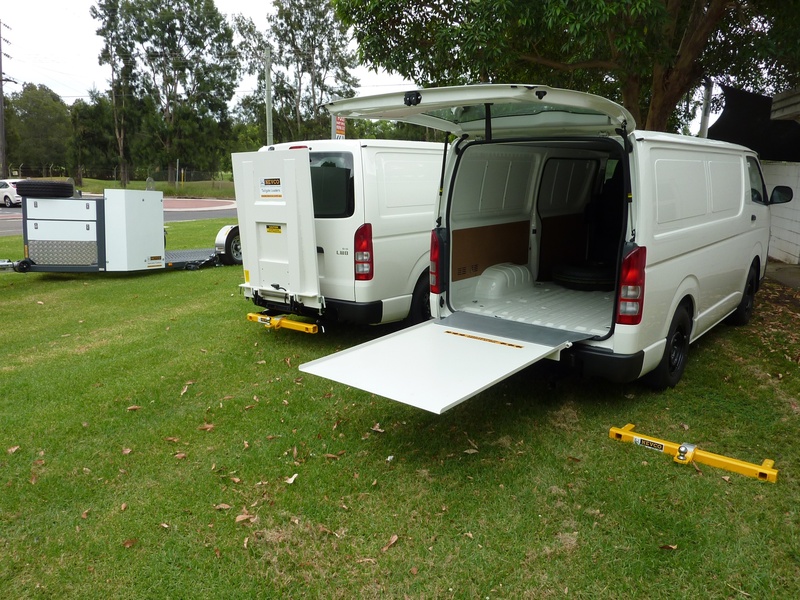 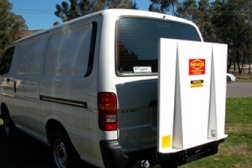 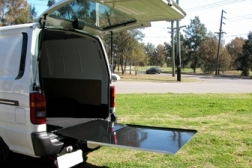 The tailgate loader on the Hiace van pictured above folds away vertically behind the rear cargo door and has up to 500kg SWL capacity with a custom sized steel deck. 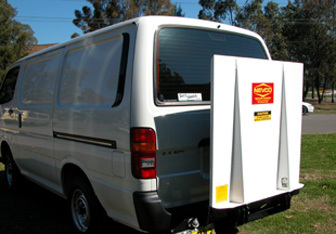 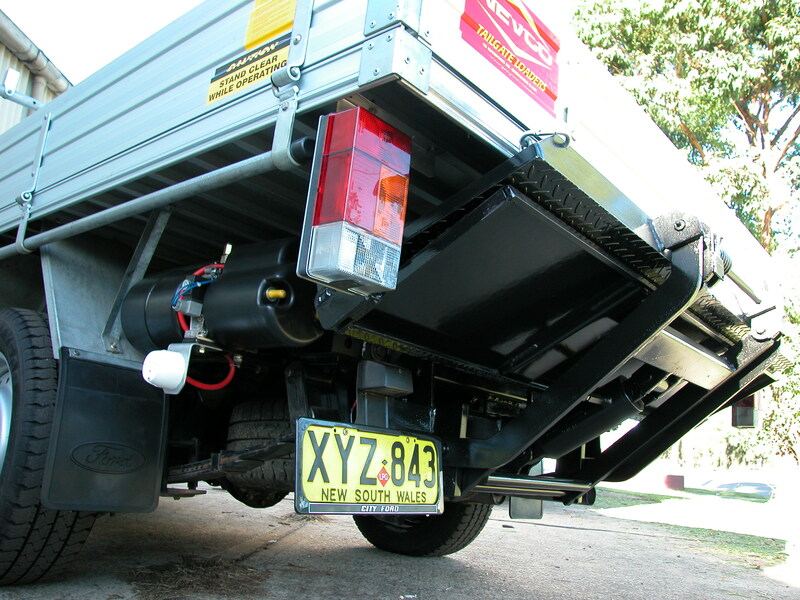 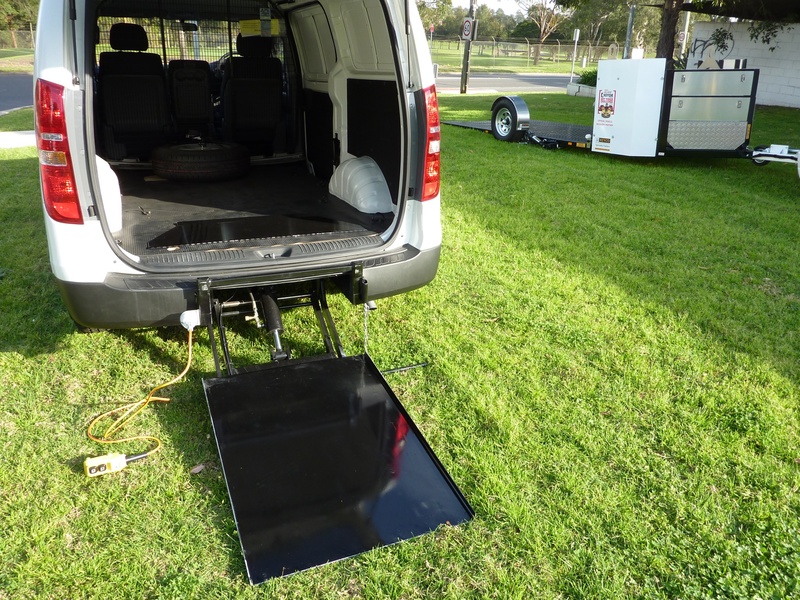 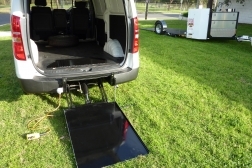 The tailgate loader on the light utility pictured above is a FOLDAWAY unit which stores neatly underneath the rear vehicle bed when not in use. 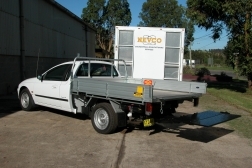 The loader has a 500kg SWL capacity. 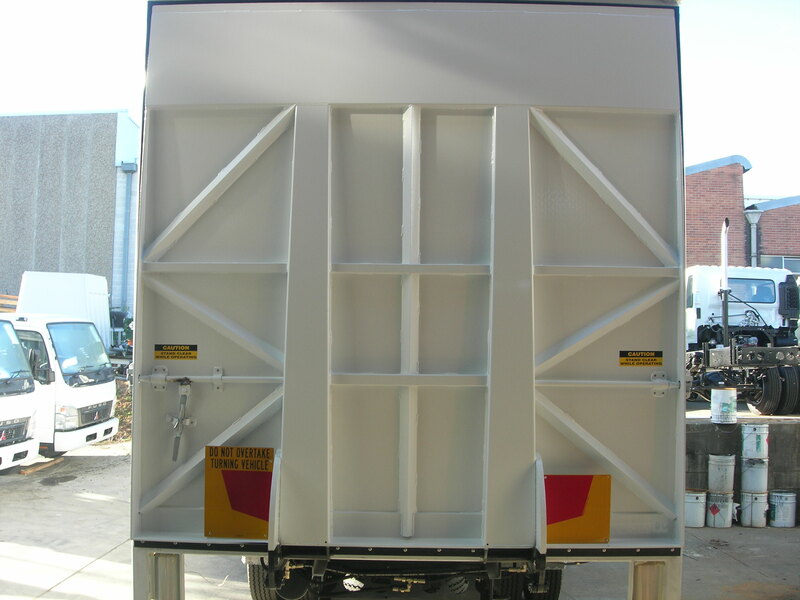 The tailgate loader pictured above is a high SWL capacity (1500kg to 3000kg) CANTILEVER design which seals against the rear body structure providing a weatherproof rear door. 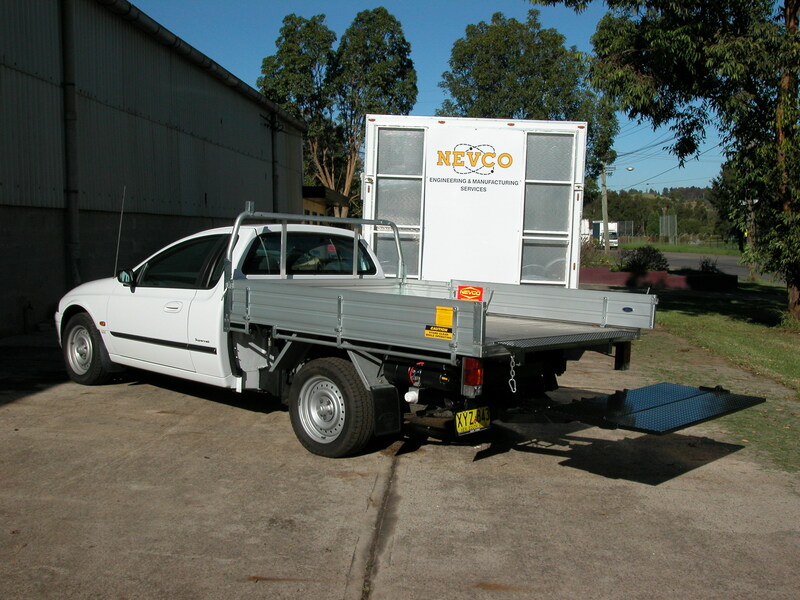 Our capabilities also include Internal Vehicle Mounted Lifting Solutions which include innovations such as “drop deck trailer” mezzanine access and fully automated and adjustable full length upper level cargo platform for trailers and rigid truck bodies.